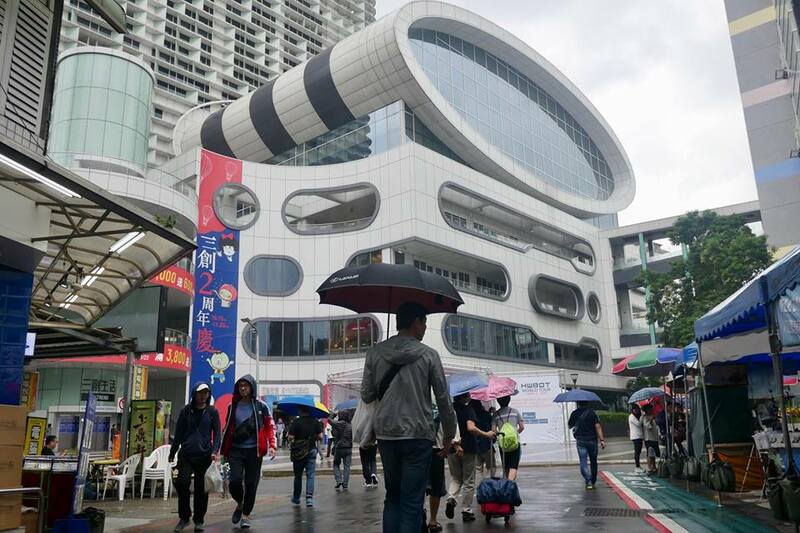 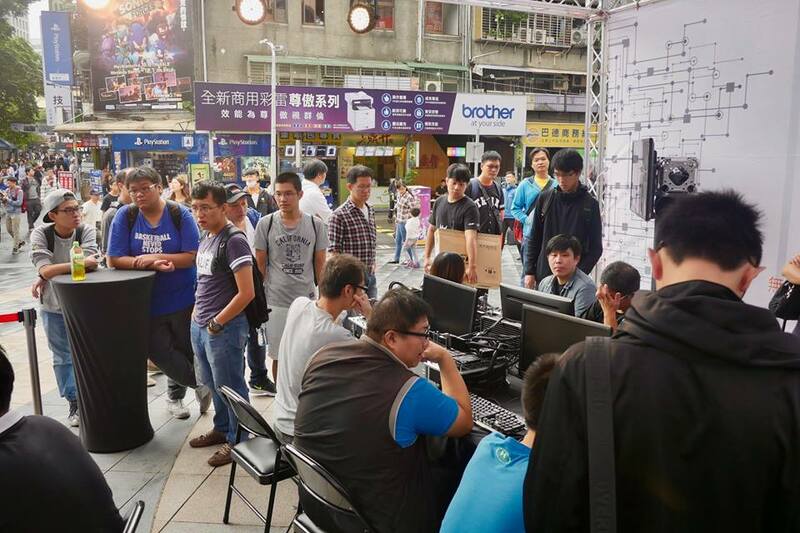 The event is taking place in the heart of Taipei City’s technology district, with a booth setup for us directly between the famous Guanghua Digital Plaza, the tech market that sells every PC and electrical component known to man, and the newly erected Syntrend building, a much more modern and interactive take on consumer retail. 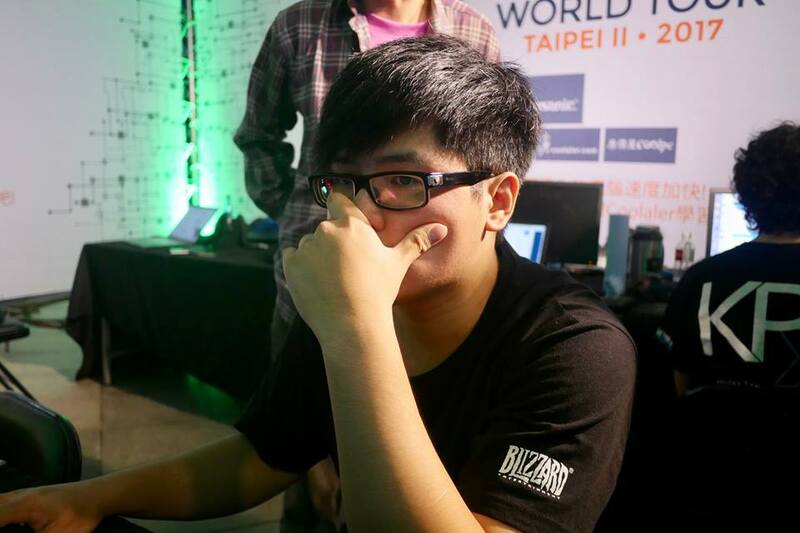 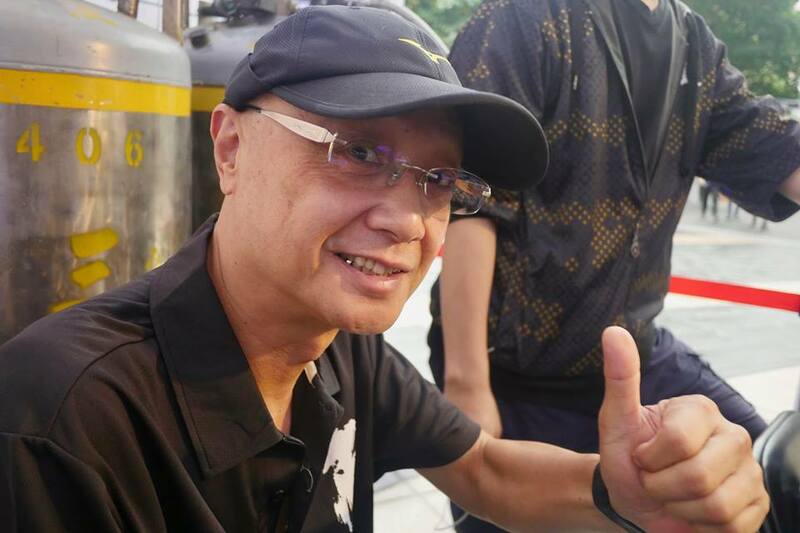 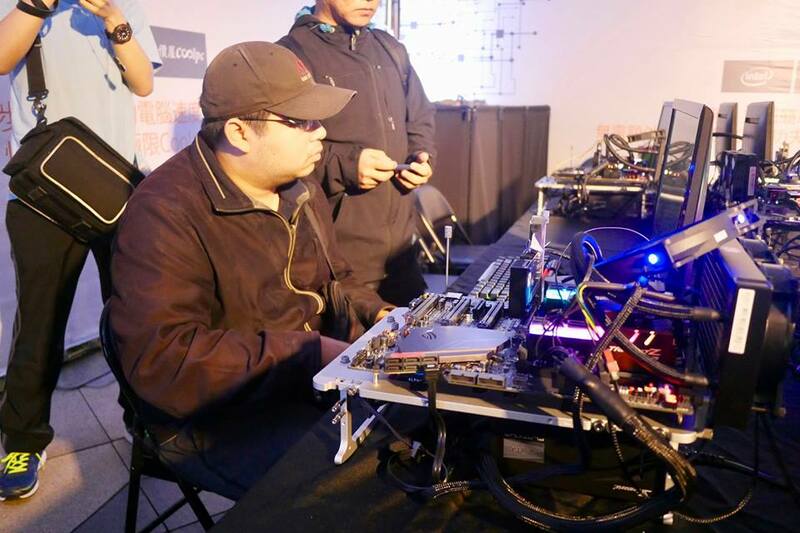 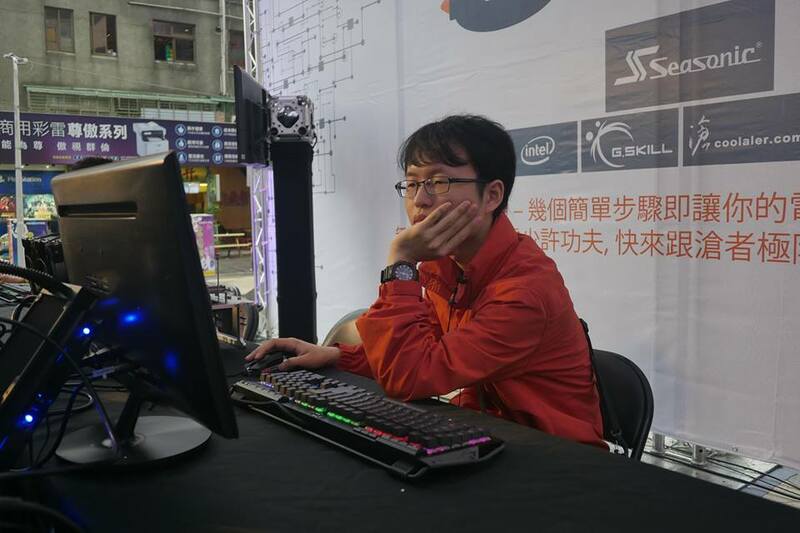 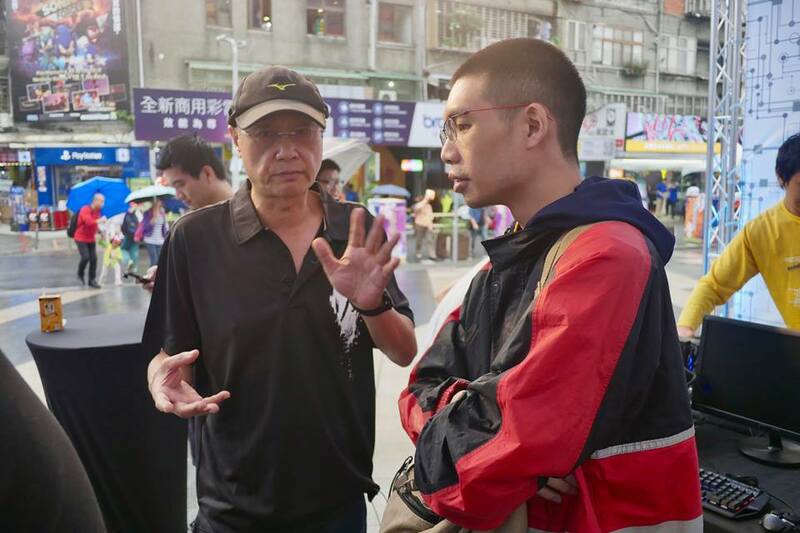 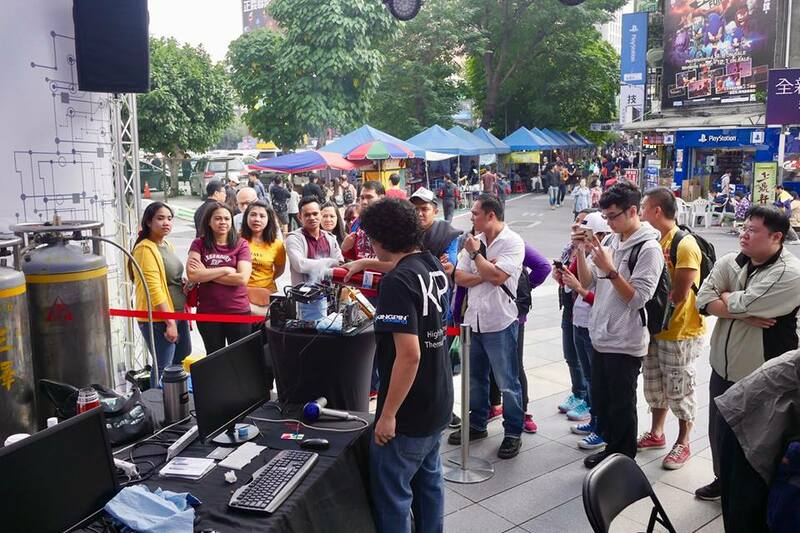 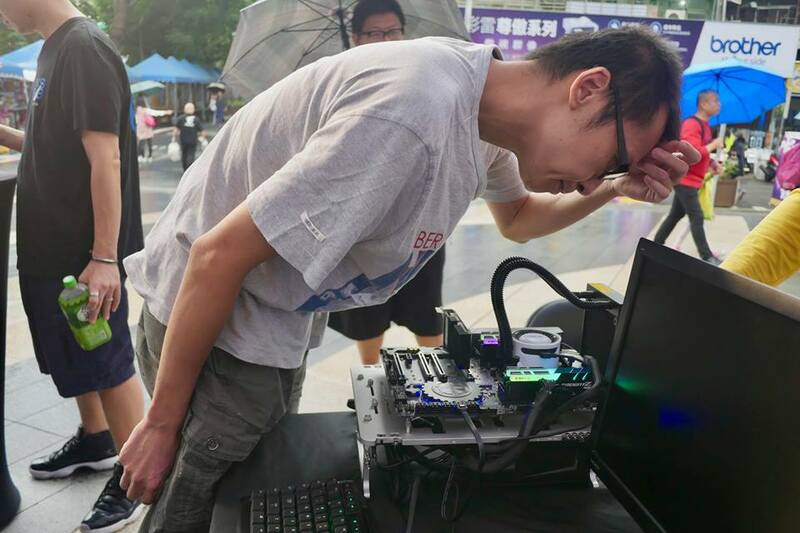 The idea is to give local Taiwanese PC and tech enthusiasts a chance to encounter overclocking for the first time. 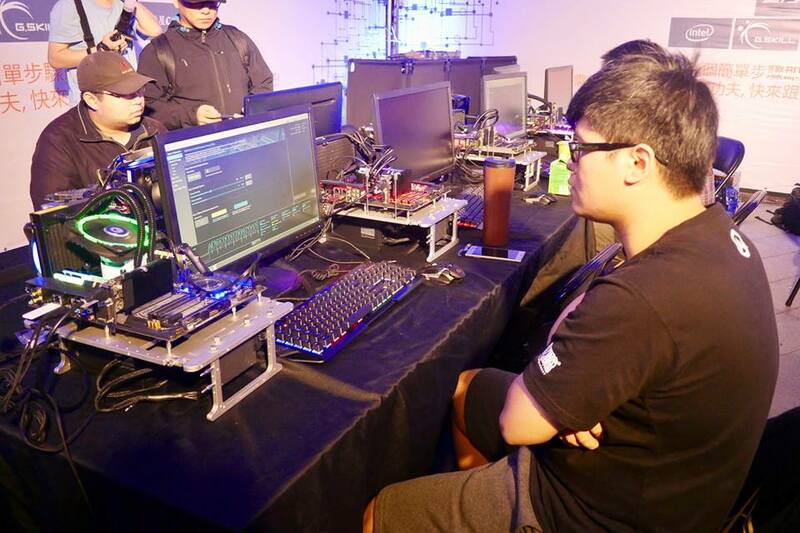 At our booth we have several system setup using the latest Skylake-X 12-core Intel Core i9 7920X processor, G.SKILL Trident Z RGB DDR4-3600 CL16 8GB memory and a variety of X299 motherboards from ASUS, GIGABYTE, MSI and ASRock. 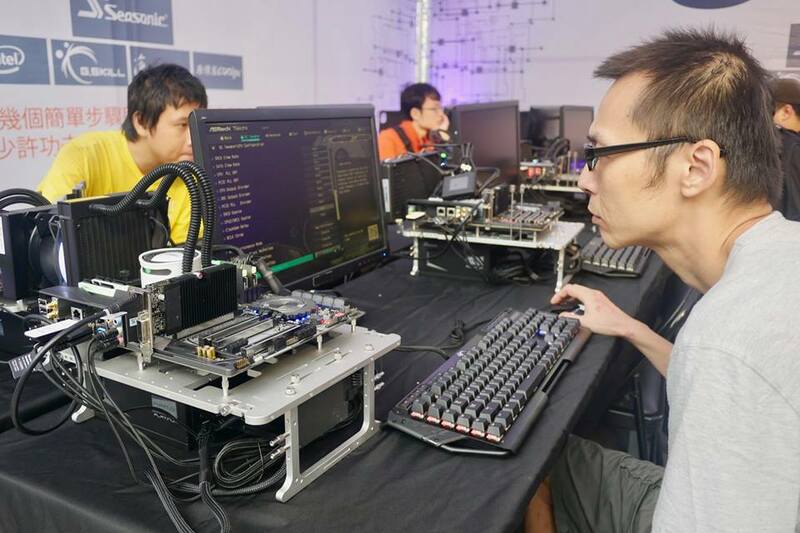 The systems are all mounted on portable Open Benchtables and are powered by Seasonic PRIME Platinum 850W power supplies. 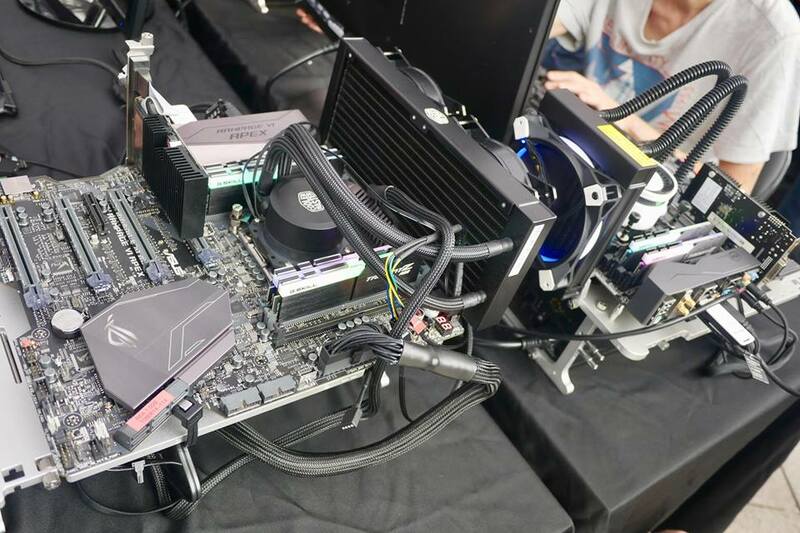 Very nice rigs indeed. 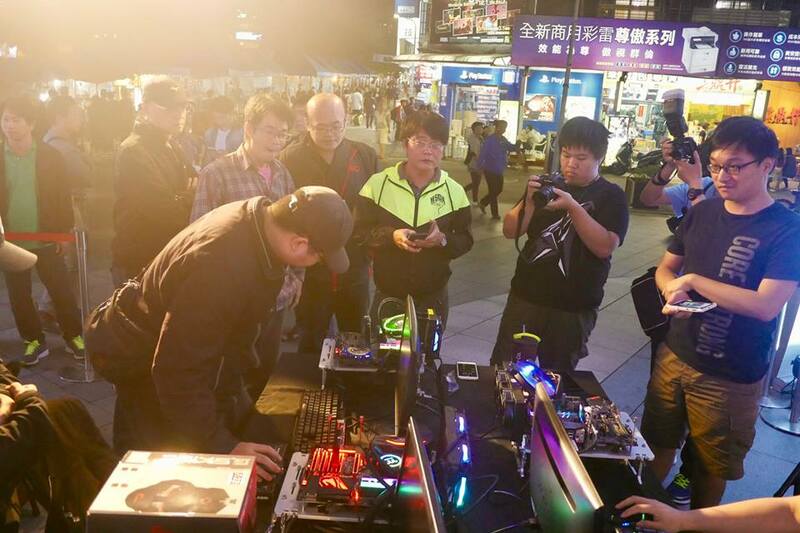 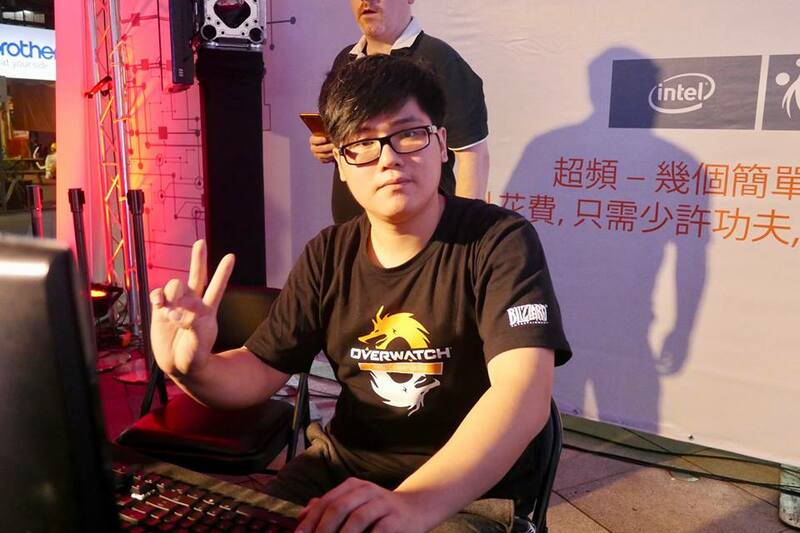 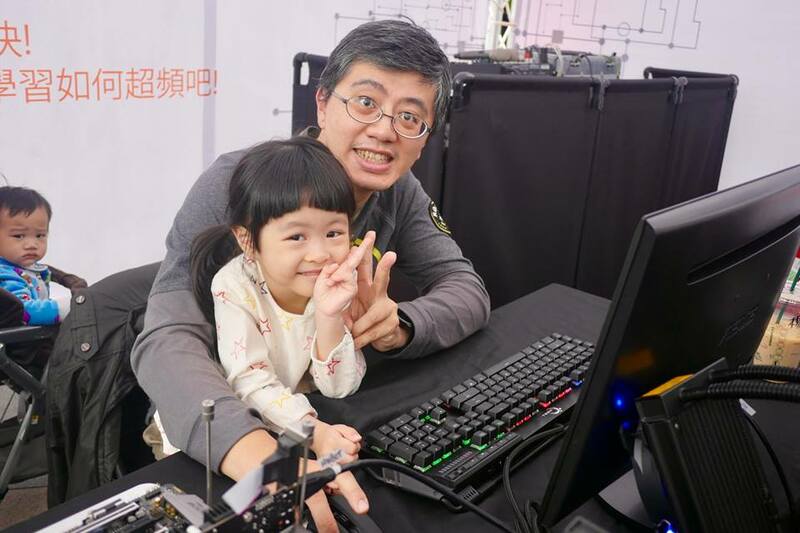 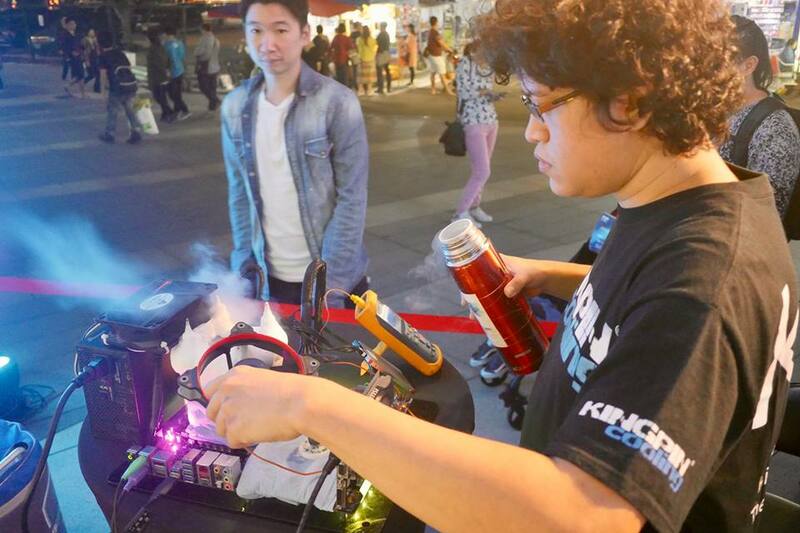 Free Overclocking workshops are being offered to members of the public and are hosted by Coolaler, one Taiwan’s most prominent and seasoned overclockers. 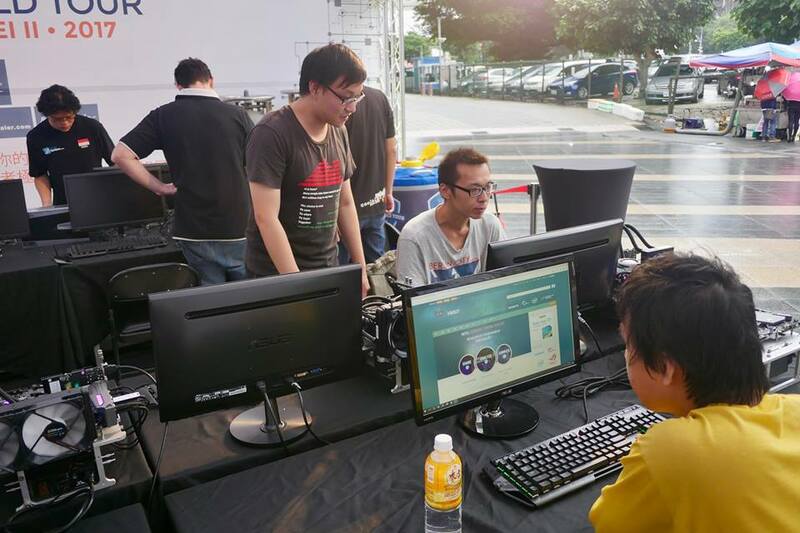 After taking a short 30 min introduction to CPU overclocking via the Intel XTU app, attendees are then given the chance to start making some scores. 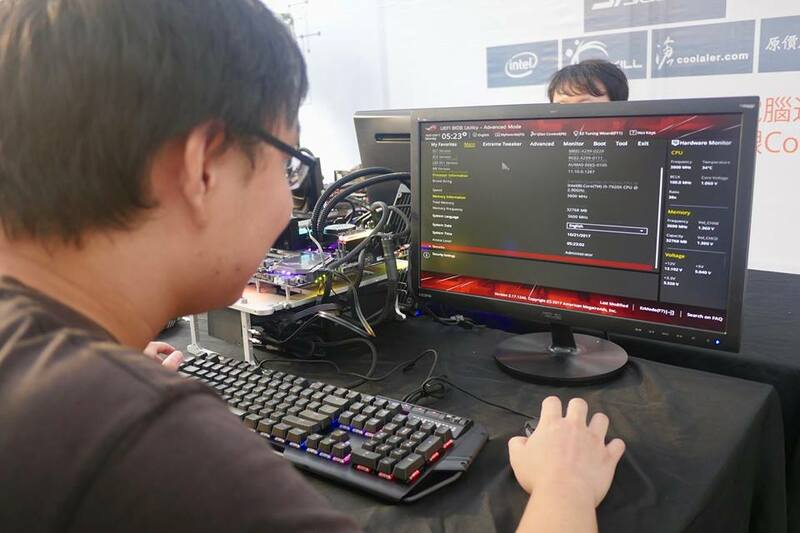 After tweaking their system and improving performance they can submit scores to the OC-ESPORTS platform, a good way to see how well you doing compared to your peers. 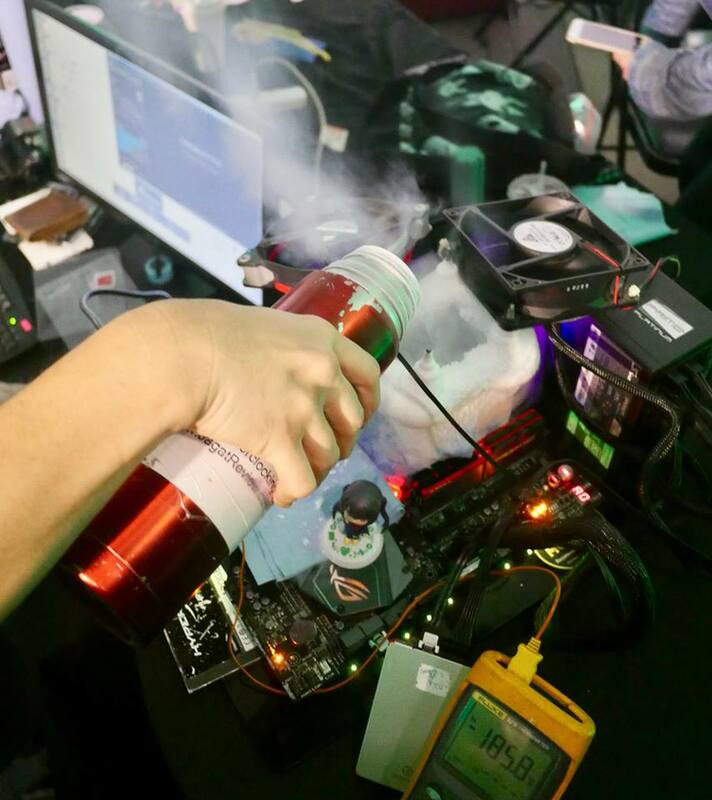 We also have extreme overclocking happening with Alva ‘Lucky_n00b’ Jonathon here at the booth pushing a randomly drawn Kaby Lake Intel Core i7 7700K processor. 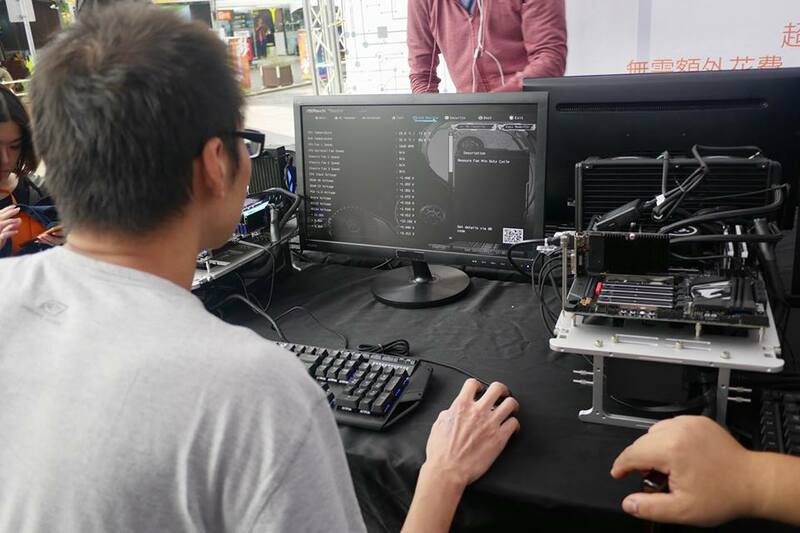 We also have a sub-zero demo of an Intel i9 Core 7958X, the new 18-core, 36-thread flagship chip. 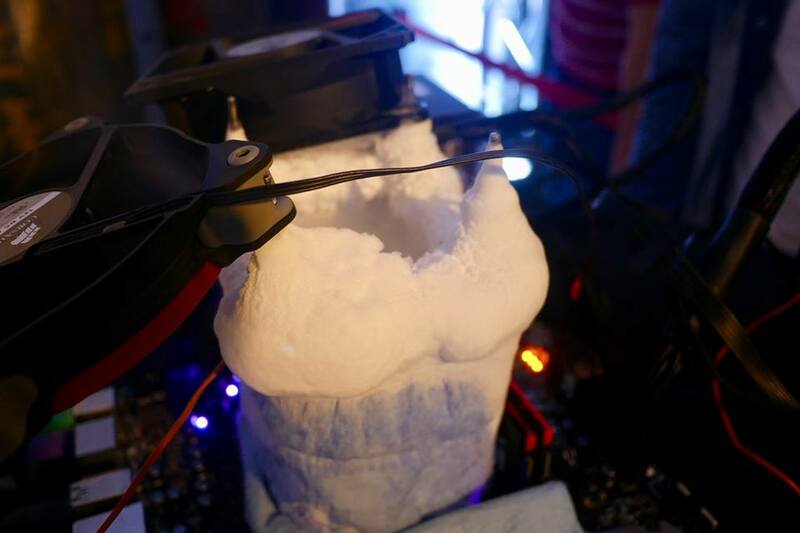 That rig is being pushed to around 5.5GHz on LN2 cooling using an AORUS X299 Gaming 7 motherboard from GIGABYTE and G.SKILL Trident Z memory. 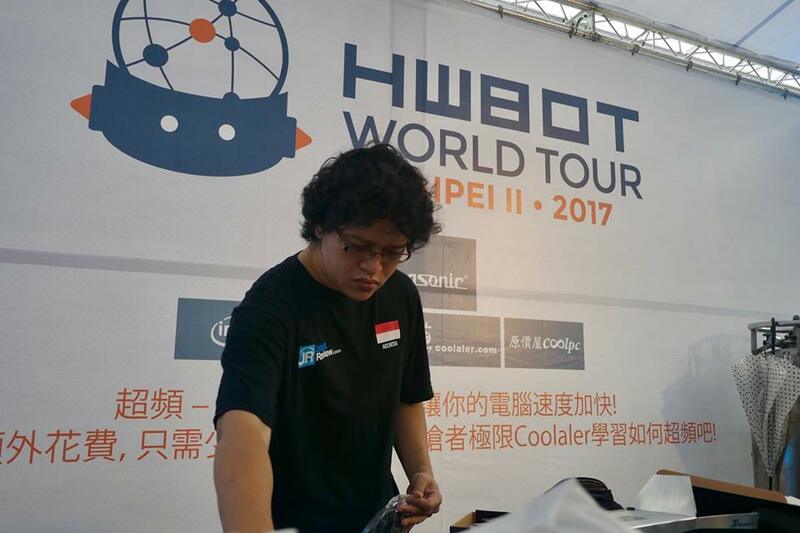 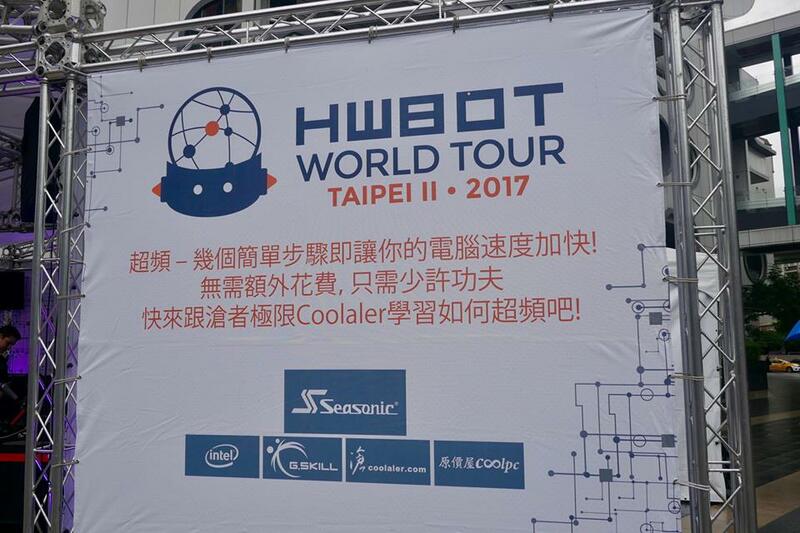 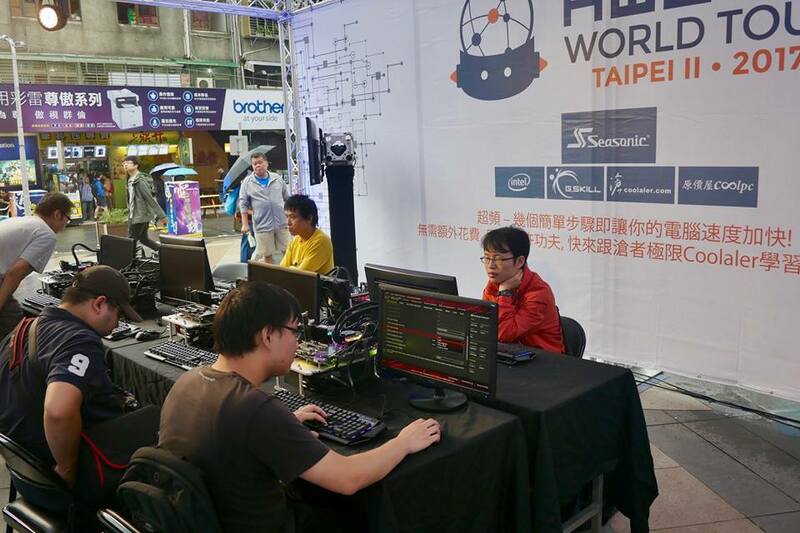 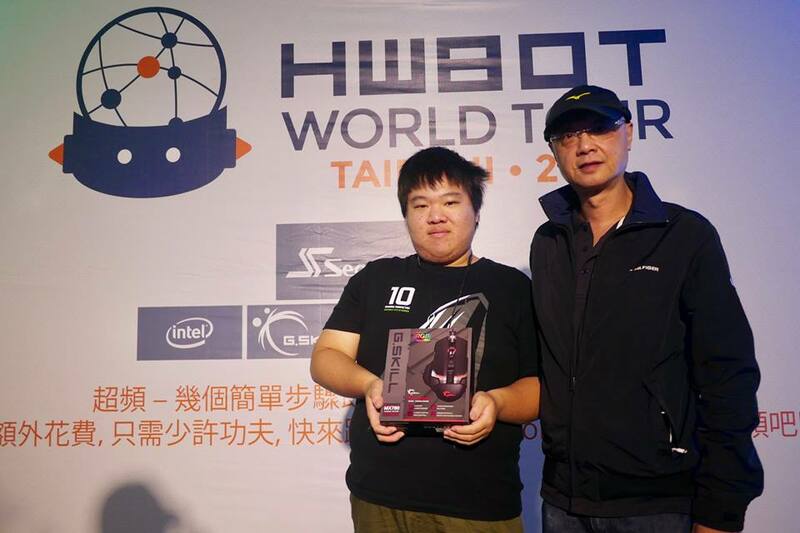 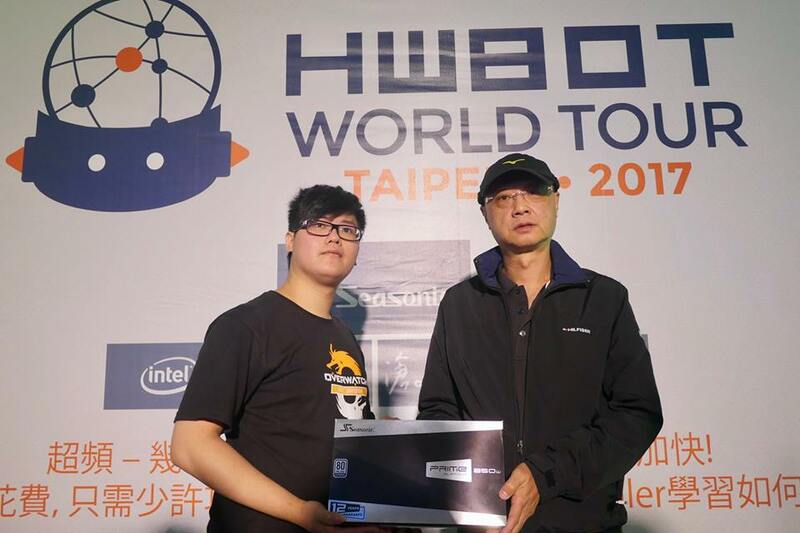 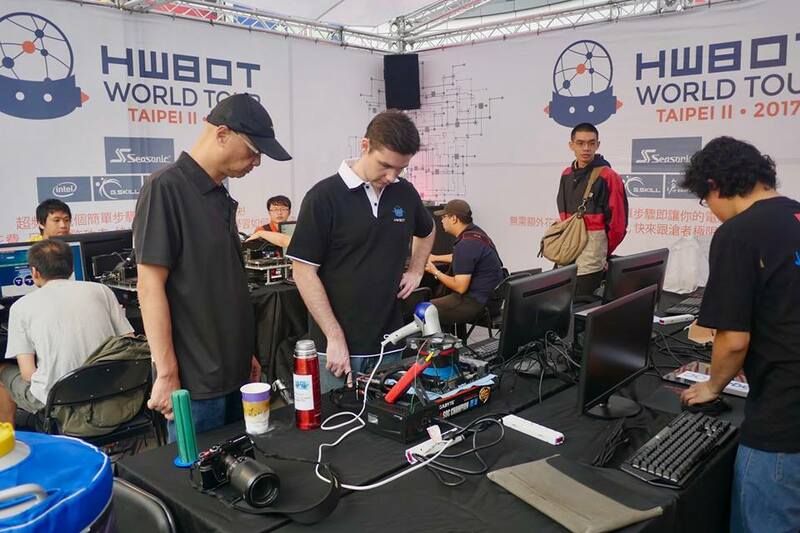 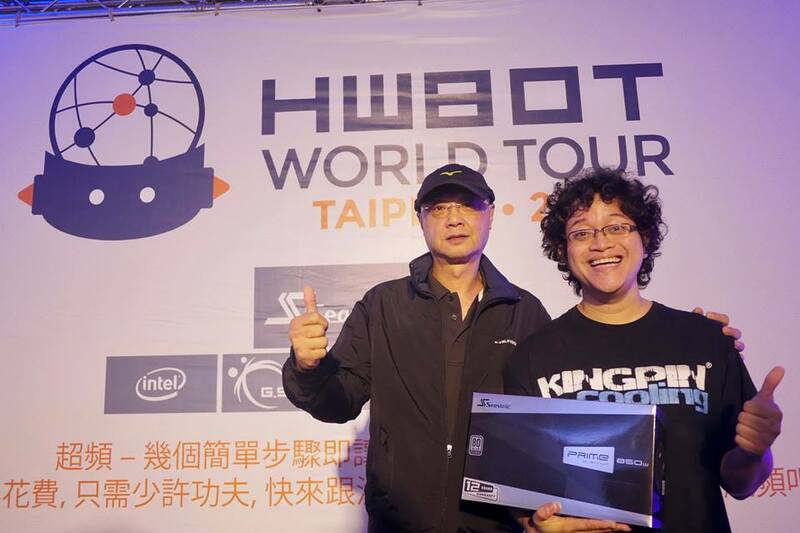 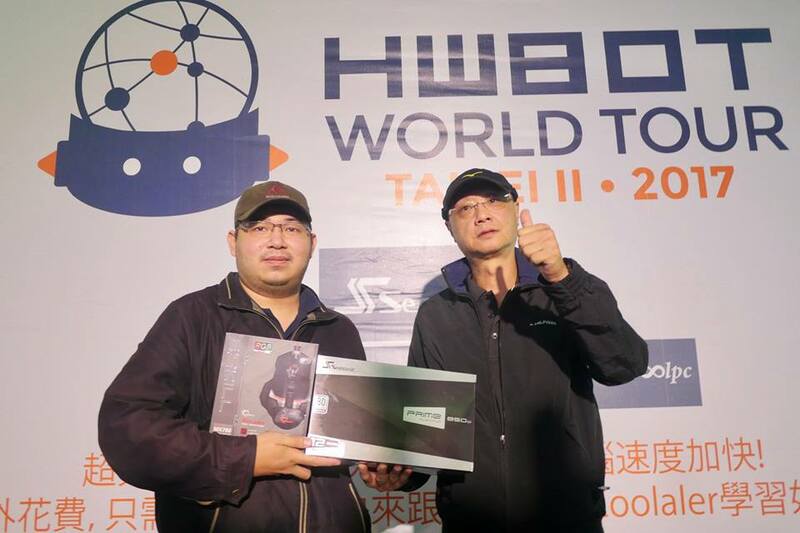 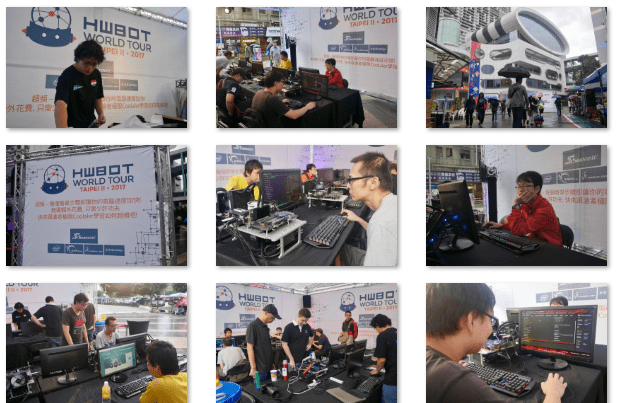 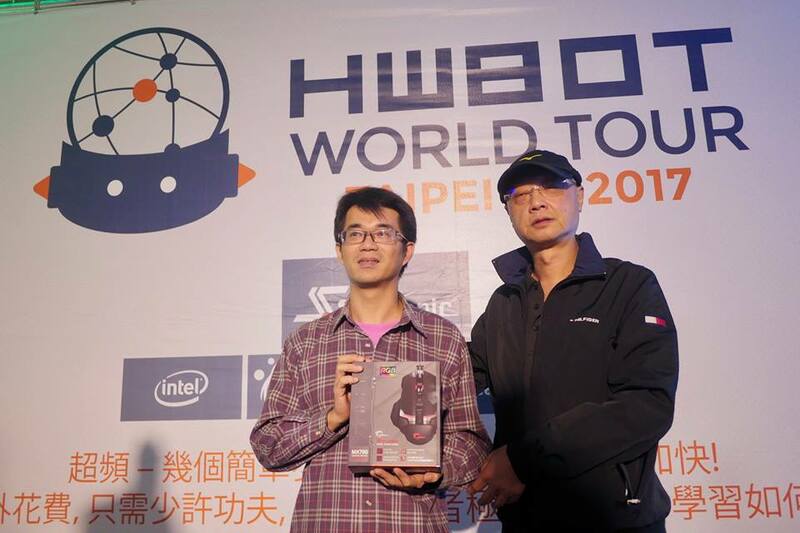 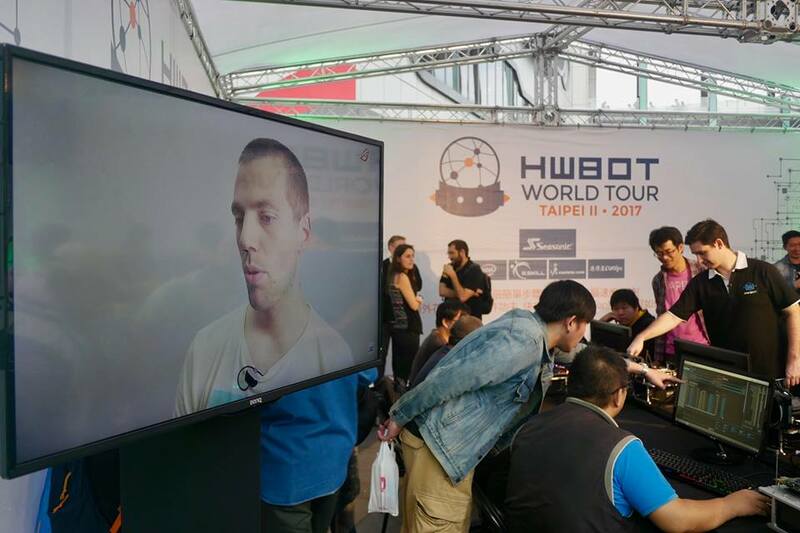 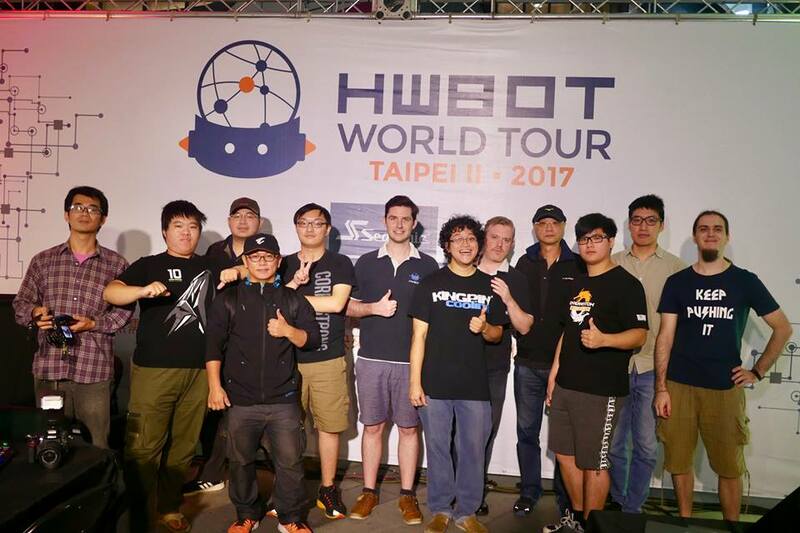 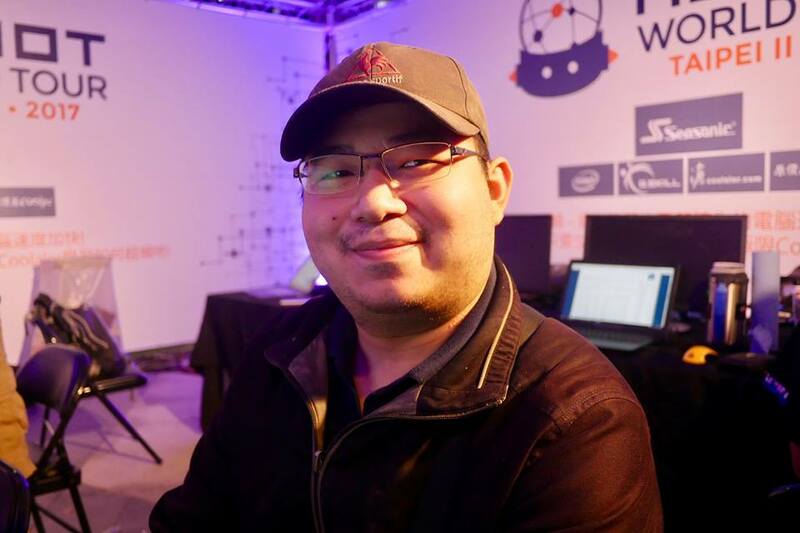 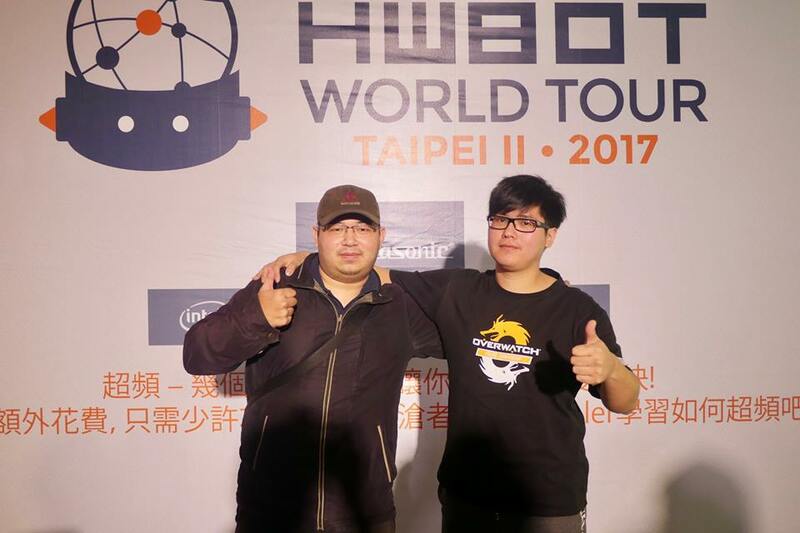 You can learn more about the HWBOT World Tour Taipei II 2017 event here.